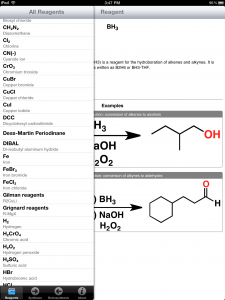 A new version of Reagents was released a few months ago, and it comes with two powerful new features that weren’t in the first version. I’ve been remiss in not mentioning it until now, so that’s what I’d like to do today. 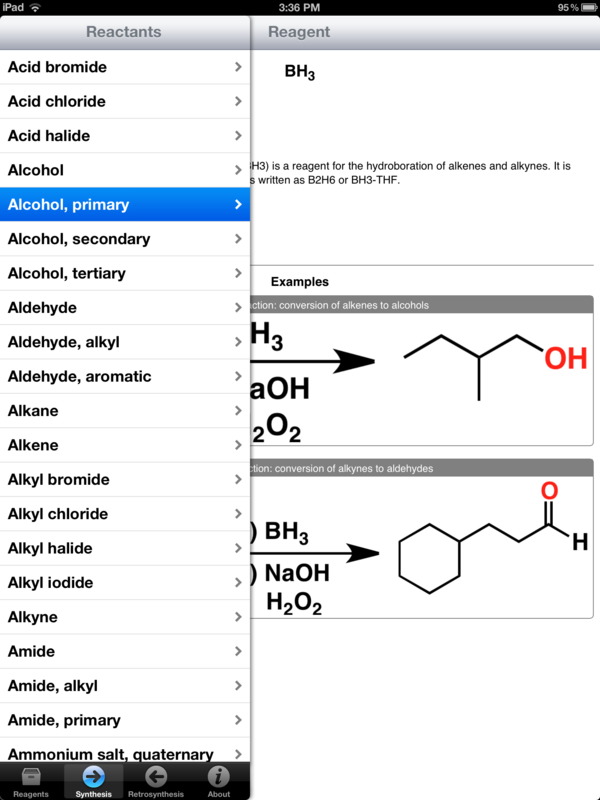 With over 200 individual reactions contained within the Reagents App, this approach worked well enough. 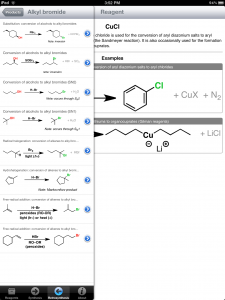 But when it came to the development of Reagents 2.0 , we wondered if there wasn’t some way to add value to the reaction set through appropriate labelling and display of additional information. 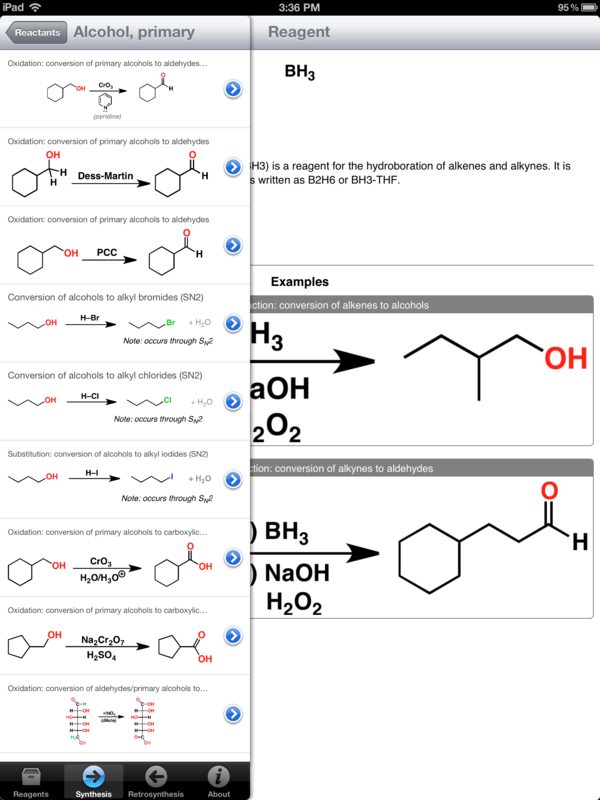 It turns out that if you label each of the reactions according to the functional groups involved, you can then organize the data along a whole other dimension. 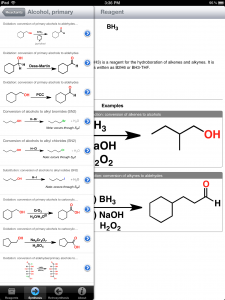 So we made a master list of functional groups and then put a caption in the file descriptor that describes the reaction in terms of a functional group transformation. 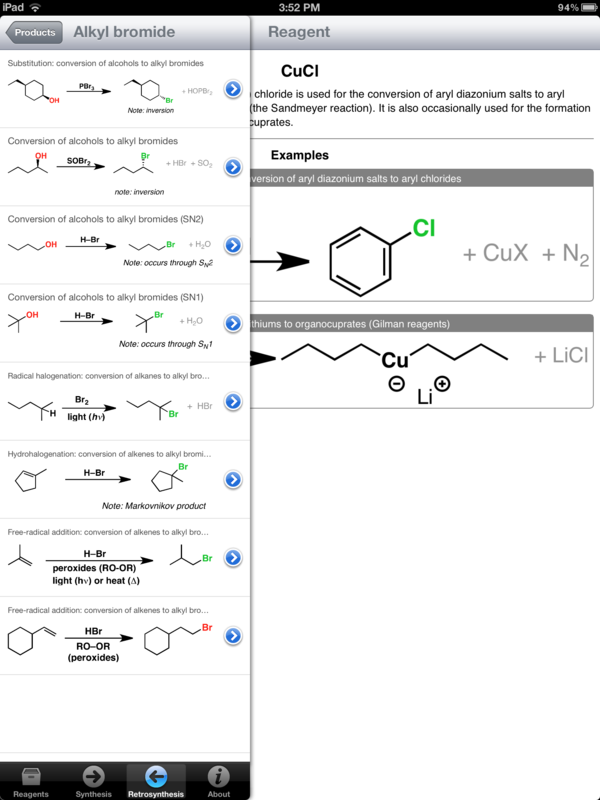 So one can now organize all the reactions in Reagents not only according to the reagent used, but also by the starting or ending functional group. 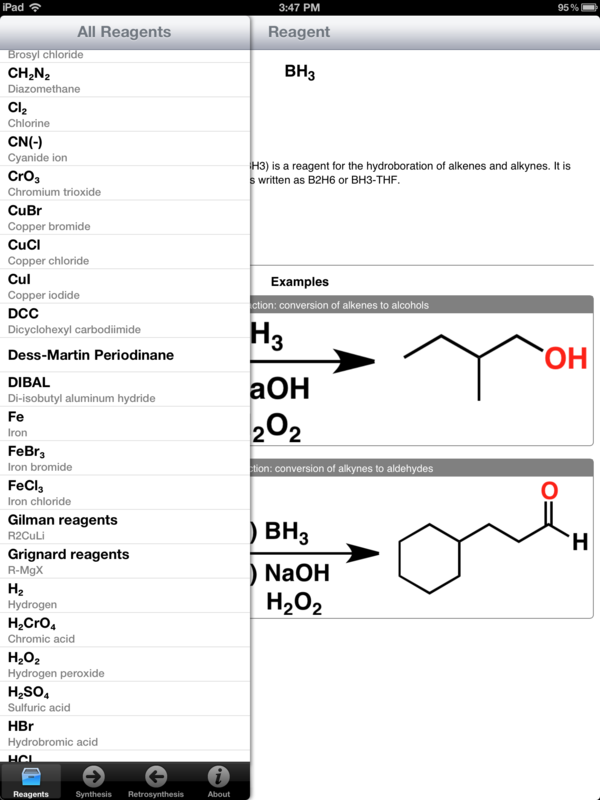 Forward reactions are organized in what we’ve named the Synthesis feature. 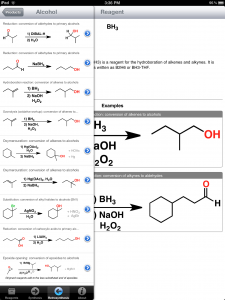 Here an example showing all the reactions of “alcohols, primary”. 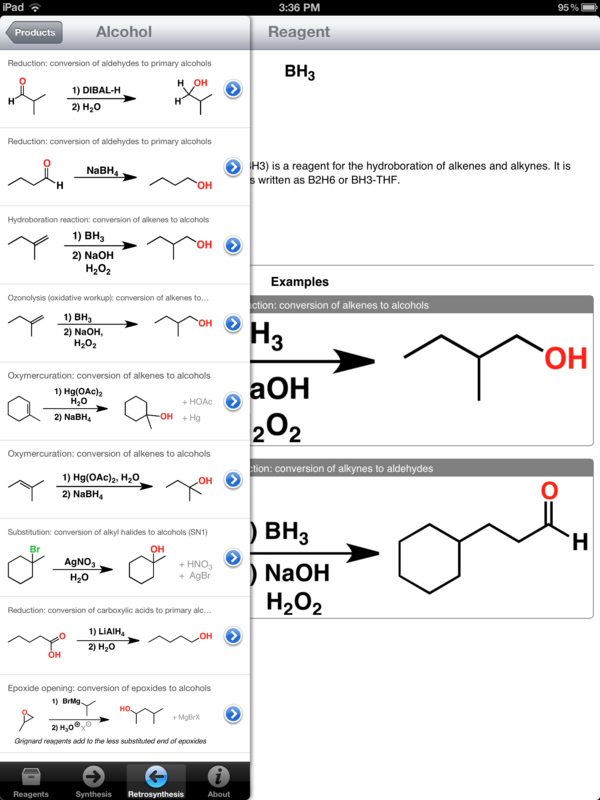 As Rich alluded to in a previous article, the result of the Synthesis and Retrosynthesis functions is a lot like Facebook’s “social graph” – except for reactions.